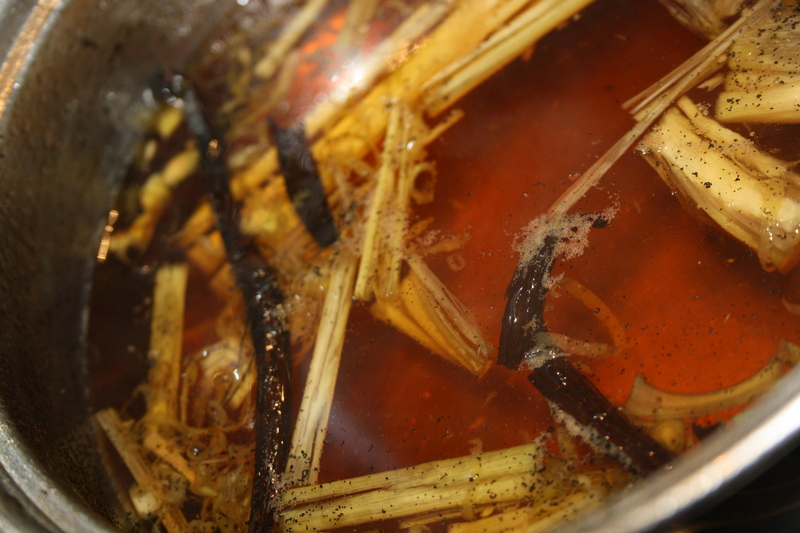 Bring the sugar, water and lemongrass to a boil in a saucepan. 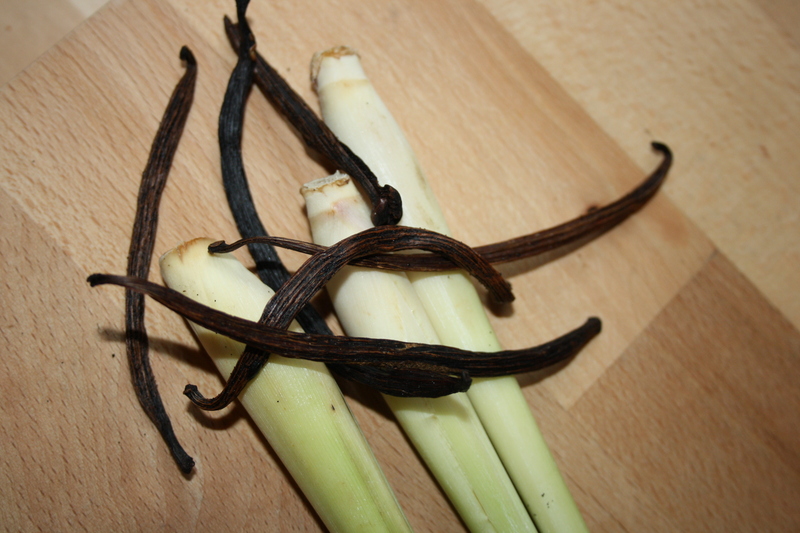 Split the vanilla pods lengthwise into halves and place in a heatproof jar or bottle. 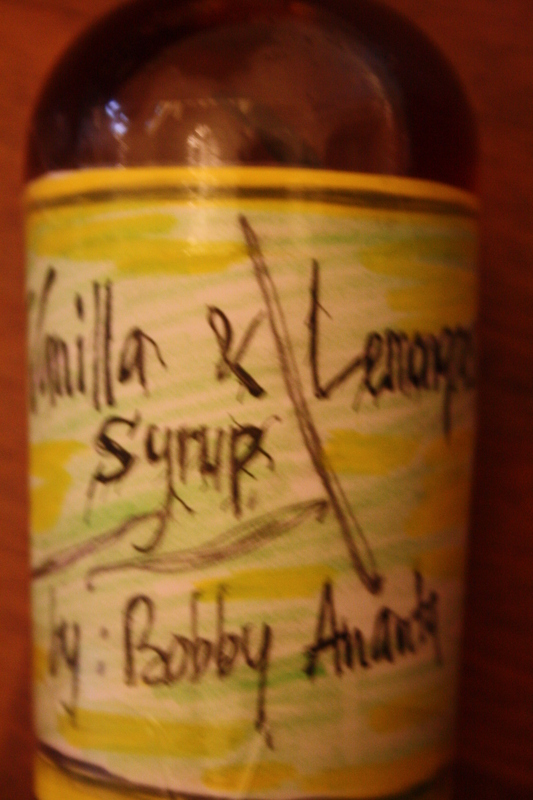 Pour the hot syrup over the vanilla pods and let stand for 8 to 10 hours. 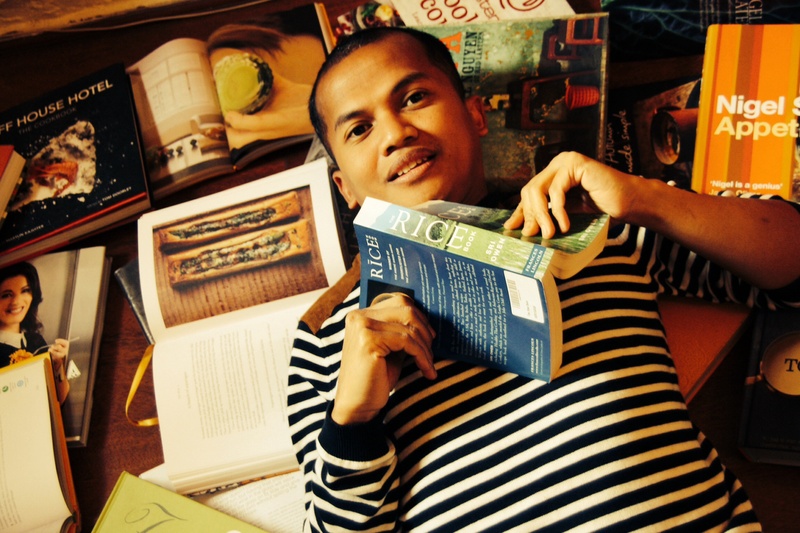 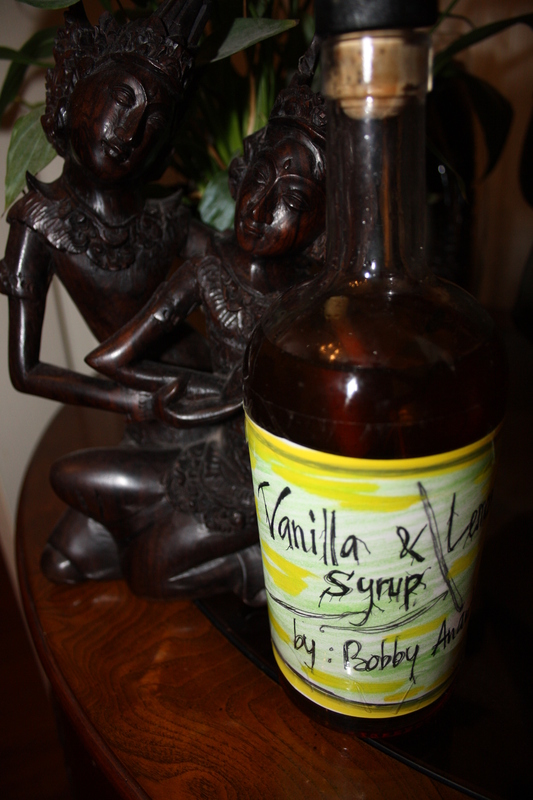 This entry was posted in Bobby Ananta a Java man, Bobby Ananta recipes and tagged Bobby ANANTA, Coffee, homemade, latte, Lemongrass, syrup, vanilla.